Nominee:Foreword Reviews 2014 INDIEFAB Book of the Year, Picture BooksYoung readers follow an adorable creature on his typical dayWhat does Monster do all day? Does he brush his teeth? What does he eat for breakfast? Does he go to work or stay home and play? Find out in this simple, fun story, told through real photographs of hand-felted objects. This book is perfect for little monsters and their grownups. 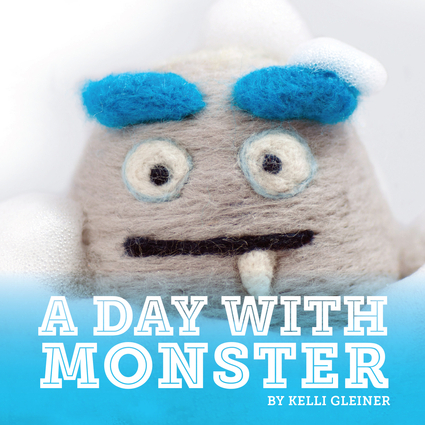 Kelli Gleiner is a fiber artist, an art educator, and the author of Cheer Up, Monster! She lives in Cincinnati, Ohio.